Fabulous shower bag or travel bag. These medium PVC bags are the perfect size for a cosmetic bag, perhaps as a treat to yourself, maybe you are going on holiday and your existing one looks a little tired. They are also a great price for a birthday gift to ‘mum’ or ‘sister’ or even a best friend. There are two colour variants of this shower bag, floral or paisley which means Birthday gifts to him and to her could be sorted with a click of the mouse! 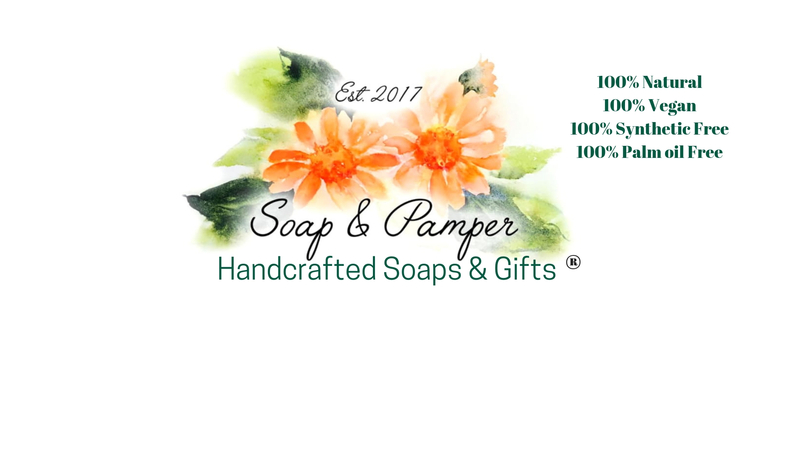 Each bag comes packed with a face cloth made with 100% Cotton, a wood soap dish ladder and 3 individually wrapped soaps, all of which are made with natural ingredients, scented with essential oils and are palm oil free. If you don’t want your soaps individually wrapped simply message me. Please also message me with your soap choice at the same time you order or I will assume you like surprises!! And, remember to select which colour bag you want!